It's 11:32am (Toronto time) and as I am typing this entry, my family is sleeping... jet lag to the max! 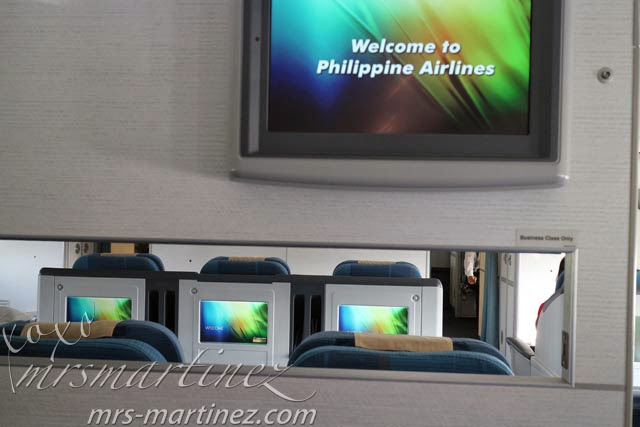 Yesterday we traveled via Philippine Airlines from 3pm to 10am (Manila time) the next day to visit Toronto, Canada. 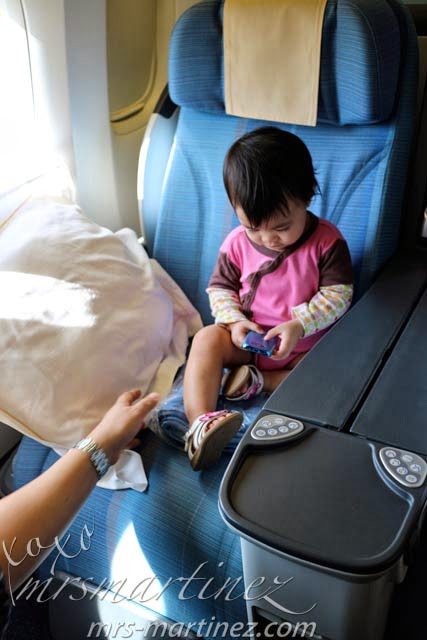 If you are a parent traveling with an infant, ask PAL about Choice Economy seats. The seats are positioned at the bulkhead and exit rows to provide the widest legroom possible on this class of service. Best of all, it's complimentary (mother and baby). For additional seats, it's $50 per pax. How I wish we were upgraded to Business Class lol #babyMartinez is seen here trying to call her gwama (maternal grandmother) before take off. I brought along two 8oz & four 4 oz bottles. I didn't fill the bottles with water, I just requested for large bottles of mineral water from the stewardess. #babyMartinez is seen here munching on her favorite cereal. I also brought along her Leap Frog pink laptop and some books to entertain her. WiFi onboard is available in Philippine Airlines for a fee. $5 for 30 minutes, $40 if you want unlimited access throughout the flight. Infant life vest is provided for child's protection. I am so happy #babyMartinez was able to use this newly bought L.A. Trekking sleeping mat. 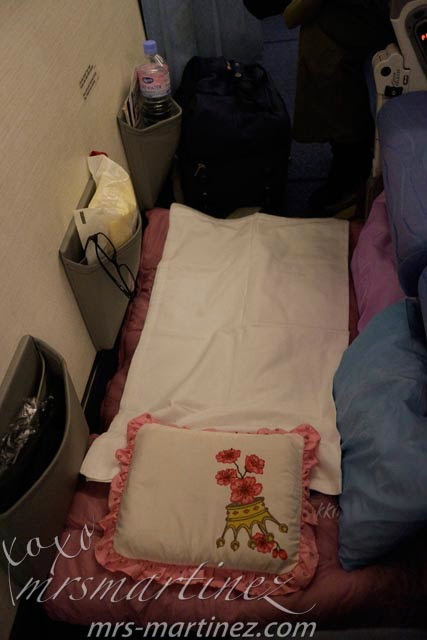 It's so useful, she was able to sleep comfortably for more than 10 hours. If you are booking a Choice Economy (bulkhead seats), request for letters E & F because the arm rest at the center can be folded. 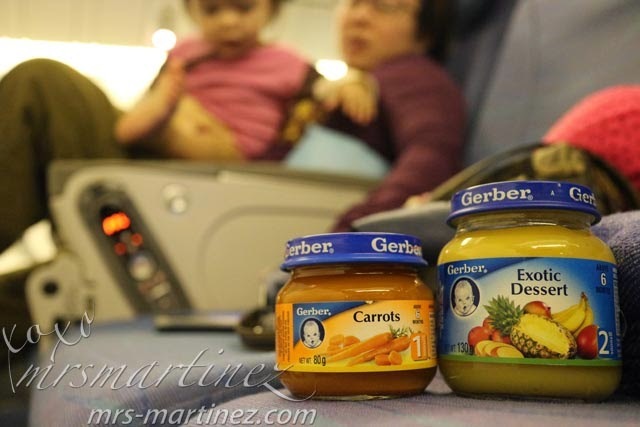 Like a true blue jetsetter, #babyMartinez behaved well throughout the flight. I hope the same thing will happen on our flight back to Manila. Keeping my fingers crossed! 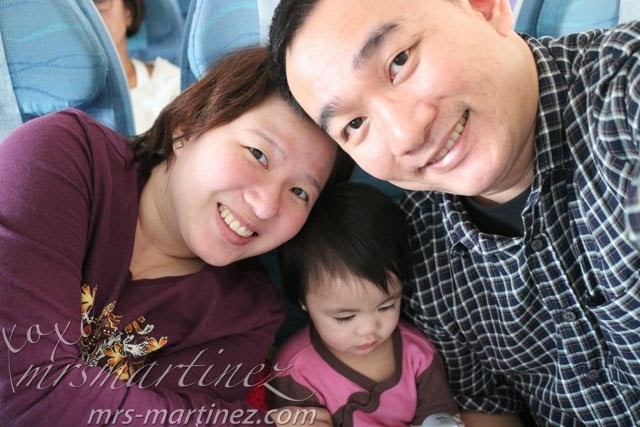 MrsMartinez's Raves and Rants is a lifestyle blog of a 30 something mom who loves food, beauty, shopping, travel and more!